Last week Indonesian National Police (POLRI) chief General Sutarman announced that cooperation with the Australian Federal Police (AFP) on people smuggling had been suspended in light of the recent spying row between Australia and Indonesia. Today, it’s been reported that information sharing on cyber crime would also be halted, and it’s entirely possible that further police cooperation is in jeopardy. This cooperation should not be used as a ‘blunderbuss’ style of diplomatic weapon: put simply, Indonesian and Australian people will be indiscriminately harmed by this weapon. Since the late 1970s in particular, cooperation between POLRI and AFP has helped to combat some of the region’s most pressing law enforcement problems including transnational crime, drug smuggling, people smuggling and human trafficking, and terrorism. 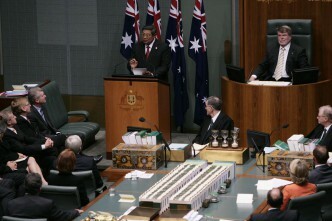 By working side by side on these issues, Indonesians and Australians have cooperated at times when we needed it most. It’s also meant both countries’ police have worked together quickly, efficiently and effectively because of the time both invested in each other. Some instances of that cooperation have been remarkable and should not be forgotten. 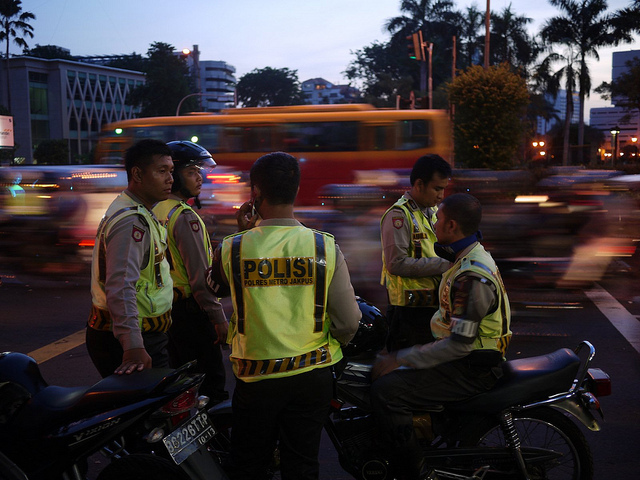 Based on the systems developed after the Bali bombing of 2002, it now takes only a matter of hours for Indonesian and Australian police to respond to each others’ needs in times of crisis. We saw this when it took less than 12 hours to get Australian police beside their Indonesian colleagues after one terrorist attack. POLRI delivered a similarly speedy and important response to an Australian request for help after the 2009 Black Saturday bushfires in Victoria. Australians were grateful for the help of the Indonesian contingent of forensic police, who helped to identify people lost in the fires. Notably, five of those POLRI contingents had worked together with Australian police after the Bali bombings. Such cooperation is rare and so precious. Mutual cooperation and respect between POLRI and AFP have delivered benefits for each force too. Australian police have given some help to Indonesian colleagues in specialized areas like forensics and high tech crime. Indonesian police have also worked to combat drug smuggling, identify fraud and human trafficking into Australia. Australia police have gained valuable insights into different criminal activities in Southeast Asia. Cooperation has also extended to fighting illegal foreign fishing in Indonesian waters, for the benefit of those Indonesians who make a living from the sea. It’s also worth noting that Indonesian–Australian cooperation has helped others in Southeast Asia too. The Jakarta Center for Law Enforcement Cooperation (JCLEC)—which enters its 10th year of operation soon—has seen nearly 14,000 students attend a variety courses on transnational crime, terrorism and law. This centre is a beacon for democratic policing, as well as best practice in these complex anti-crime areas. A more capable police force strengthens other mechanisms of this system, because the ability to investigate complex cases and gather evidence helps to prosecute criminals in Indonesia. 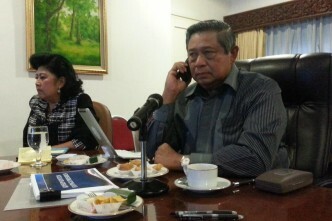 This has direct benefits for the rule of law, and so direct benefits for all Indonesians. The story of cooperation between Indonesia’s and Australia’s police goes to the heart of a relationship which has grown from strength to strength over the years. Disrupting years of side-by-side work now would not only hurt the broader diplomatic relationship: it would have serious consequences for both the Indonesian and Australian people. And these consequences would take time to repair and could prove disastrous in the meantime. A break in cooperation will jeopardise the ability to respond quickly to all kinds of emergencies, be they due to natural or criminal causes. But cooperation between Australian and Indonesia is not only about governments—it’s important for both peoples too. They will feel the loss of poorer information sharing, longer or ineffective investigations, and the lack of joint action. It’s entirely possible that some people will die as a result of this rupture. And the only people who will benefit from this are the criminals that try to harm the Indonesian and Australian peoples. Natalie Sambhi is an analyst at ASPI and editor of The Strategist. David Connery is a senior analyst at ASPI. This has been adapted from an op-ed that first appeared in The Jakarta Post. Image courtesy of Flickr user nSeika. Spying on friends: how would we feel?